There's a full moon tonight - and also a lunar eclipse. 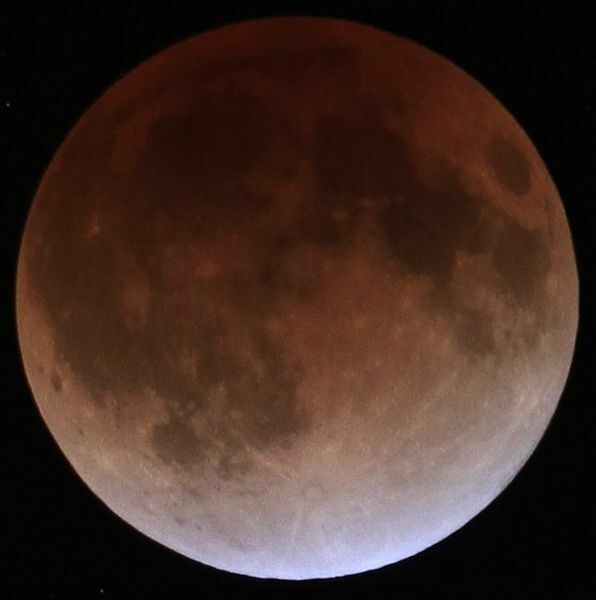 It is the second of two lunar eclipses that have happened this year and should be just visible at moonrise in the UK. With the eclipse, it seems appropriate that the Celtic name for the full moon in November is Dark Moon. Lunar eclipses only happen when the moon is full because that is when the moon is directly opposite Earth in relation to the sun. They are rare, however, because the plane at which the moon orbits the Earth is slightly tilted. Many people believe that lunar eclipses are bad omens, although according to The Penguin Guide to the Superstitions of Britain and Ireland, by Steve Roud, there are no specific superstitions attached to eclipses of the moon or sun. Although people tend to think they are generally a time of bad luck, there are no time-honoured rituals that people in Britain do to try to stave off the imagined ill effects. My own belief is that during a lunar eclipse our hidden fears can come unbidden into our thoughts and dreams - and it is a good time to face those fears and realise that, like a lunar eclipse, they probably aren't that bad after all.